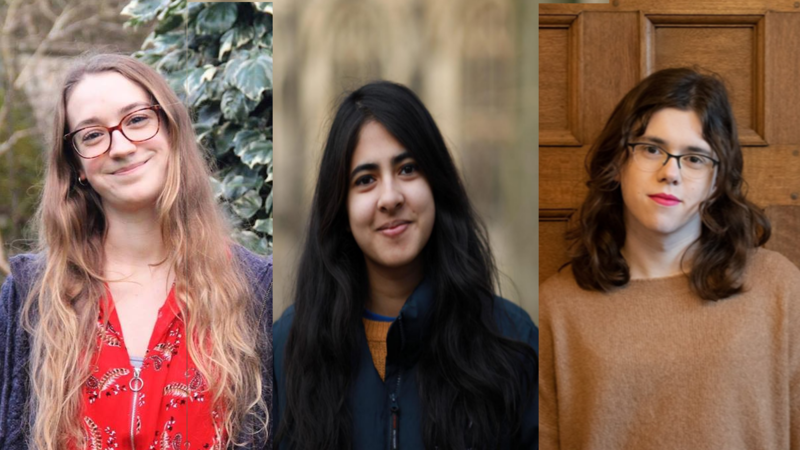 Elections for the Oxford SU are now upon us. We sat down and spoke to the candidates for the top job to learn more about their platform before the hacking well and truly gets underway. Hustings will take place in the SU on 4 Worcestor Street at 17:00 on Monday 4th Feb. The event will be livestreamed. I’m from Hastings in Sussex, I go to Wadham and I’m a third year doing PPE. I’ve come to running for the SU because I got involved in JCR politics. I started off as JCR Treasurer which I enjoyed but I also got experience of how hard it can be to negotiate with colleges. What did you get done as Treasurer? One of the main things we managed was to negotiate a special living out grant as Wadham is doing loads of building work at the moment and they promised that all first and third years can live in but they weren’t going to have enough room for all third years. The grant got the right number of students to volunteer to live out which was really nice. I also set up a reimbursement fund for travel to gender identity clinics, working with the trans officer. We did a little bit on sport funding when college basically reduced it all without talking to anyone so in the meantime we set up our own fund. Let’s talk about some of your policies. What do you have to offer the undergraduate community? The main thing I want to do is make sure there are mental health and wellbeing considerations built into the academic structures of the University. There are two main ways I want to do that and I think they are quite achievable. The first is to build mental health into academic monitoring, which I think is quite obvious, right? When your work is going wrong and you haven’t handed in an essay, the first port of call for your tutors should be to work out why that’s happened, to check if everything is OK and if there’s anything they can change to make things better. Most tutors do care but they aren’t really equipped to handle stuff like that. Secondly, I want the University to build mental health and wellbeing into the way it reviews its teaching quality assurance. I’ve spoken to some people on education sub-committees and they think that’s the right way to get it taken seriously. What do you have to offer the graduate community? I’d like to do a lot more graduate access because I think at the moment it’s being quite ignored. I’d like the University to start collecting data and analysing it. I’d also like to work very closely on the new graduate college. You guys published an article about this the other day but it sounds at the moment like it could be a disaster. I want them to make sure that graduate students who can already end up being quite isolated are properly integrated and have good accommodation. I’d also like to seem some more relaxed working spaces for graduate students becuase I think that particularly humanities students can end up spending all day in the library. And of course working on means tested scholarships. Mental health is a big priority of your campaign. What do you think have been the SU’s key achievements on this front and how do you plan to build on them? 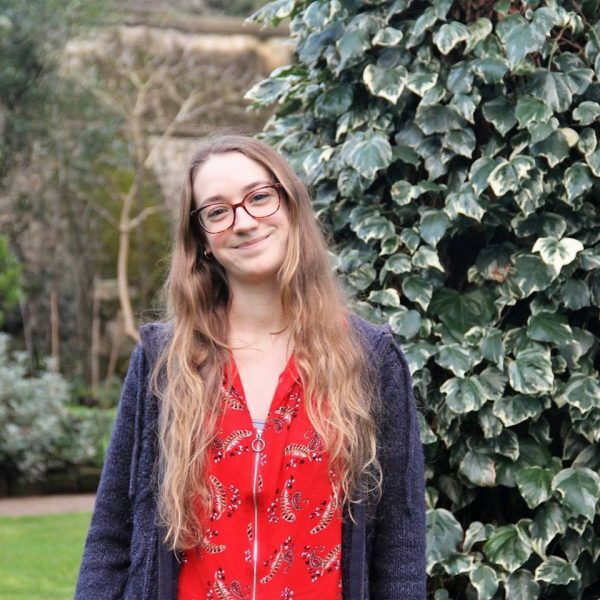 I’ve been really pleased to see the SU looking into the mental health of specific communities, so the work Ellie has done on estranged students is amazing. The trans report is really good but I think now the SU really need to push the University on prevention becuase at the moment the University is able to say its putting more money into mental health but a lot of that is going to the counselling service and the college welfare services which are really important but it would be ideal to make sure students don’t reach that crisis point first. I’m from Norwich originally and I do English at Exeter. I’m in my third year so I’m about to graduate. At the end of last term, I finished the end of two years on the JCR – first as Secretary, then as President so I’ve done a bunch of work in the college but I’ve also done some stuff outside of college. I was the student representative on the senior tutors’ committee, which is a committee of the conference of colleges which deals with educational policy. I also was involved in trying to get PresCom (committee of JCR presidents) to be a bit more of a visible presence. Tell us about your slate – how is it unique? I’m running on the Aspire slate with Róisín McCallion for Welfare and Equal Opportunities, Amber Sparks for VP Women, and then Miranda Reilly for VP Access and Academic Affairs. Generally, the thing that I think is unique about it is that I have literally never met people who are more passionate about changing Oxford for the better. And I know that that sounds like something everybody would say, but I think all of them have done so much great work. 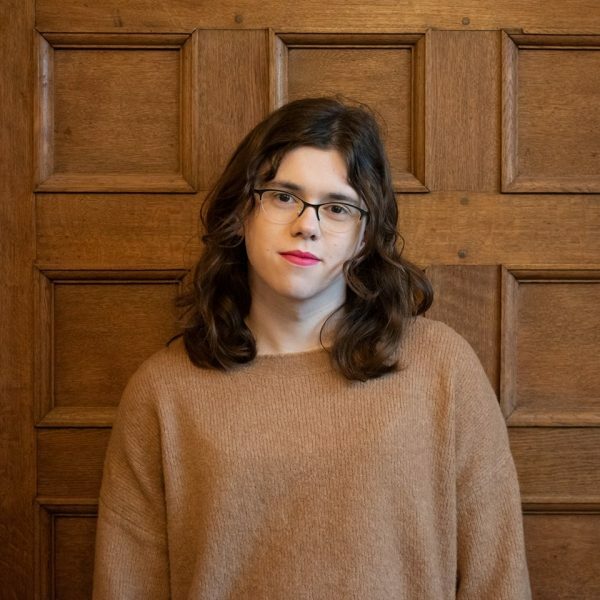 Róisín is co-chair of SusCam (Campaign for Suspended Students) and she’s set up suspended student representation at Merton. Miranda has been co-chair of the Disabilities Campaign. She’s now suspended herself. And Amber’s done some fantastic work on organising various feminist events and organising within St Hilda’s. I genuinely think that we’re the people who can make a change happen in Oxford. Let’s talk about your policies. One of your key pledges is to bring rent down. How do you propose to do that? The first thing is working with JCR’s. Joe, the current president, has already done some fantastic work on setting up a really strong rent action group, getting presidents talking through strategies. In years before there have been rent negotiation training which has been run by the SU and that’s continuing and that’s really great. But I think that there has to be a more aggressive, more visible work done. Rent action group is all well and good, except for the fact that not many people have actually heard of it. And if you get students engaged in that conversation—and students will get engaged in that conversation because everybody wants to be paying less in rent—then you can start to make a colleges listen. And there doesn’t have to be nuclear options like rent strikes which I know that some colleges have considered. But Wadham has been doing some great work with protests and campaigns, and if we pushed that to a university-wide level, then the University will have to listen. Apart from rent, what do you propose to do for the undergraduate community? Mental health support is really vital. I think pressing for more university-wide and collaborative schemes between colleges is really important. There are some colleges where mental health support is so much better than others and if you start to bring those schemes out to a university-wide level and if you start to look at solutions beyond just the counselling service, which is the university’s answer to everything, then you can start to make a real difference. The other thing is the attainment gap. Students from state-schools, and students from disadvantaged backgrounds, BME student and disabled students, have less access to resources, have frequently less teaching at the schools they’ve come from, and worse teaching. That translates into results. At Prelims the gap is wider than at Finals, which shows that the gap is getting closed, but it’s not getting closed fast enough. And it’s not any failing on the part of the students who are coming here from disadvantaged backgrounds. It’s a failing on the part of the education they’ve received before they’ve got to Oxford and once they’ve got to Oxford. I think there needs to be a real conversation about why that’s happening. No college has properly stood up and dealt with the fact that there’s this attainment gap, so bring the University to the table and make them listen to this issue. The first thing is a voice. I think every year since I’ve been here, its felt to me—and I’ve been an undergrad—but it’s felt to me that there’s been five undergraduates sabbatical officers, and then one graduate. So, I think the first thing is actually listening, actually engaging, and actually working with graduates to get them engaged in the SU. There’s rising student numbers, a lack of resources which are dedicated to graduates, so many more issues, especially at graduate-specific colleges which are frequently just left out of the conversation of the SU. I go to Queen’s college and I’m a third year undergraduate historian. I come from a state comp in Wembley where the majority of students were BME and quite a significant proportion were on free school meals so I guess coming to Oxford was a big aspiration for me. What sort of things have you got involved in whilst you’ve been at Oxford? One of the biggest things I’ve done at Oxford was serve as Labour Club Co-Chair. Being involved in the labour club gave me the confidence I have today. 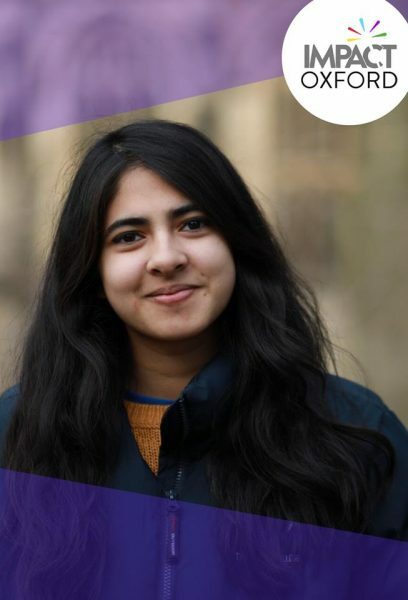 Through the labour club, I was able to gain a lot of experience with grassroots activism which I think is important with the SU because of the campaigns it runs and its function as a lobbying body. I was also Editor-in-Chief of The Oxford Student leading a team of over 60 people which taught me a lot about leadership and organisation. I’ve been heavily involved with the SU for quite some time. I was Chair of Student Council last term so I have a solid understanding of how the democratic representative body of students functions. Moreover, I served on Scrutiny Committee for a year which involved interviewing and holding the then Sabbatical Officers to account and ensuring they were carrying out their roles adequately. This taught me what change Sabbatical Officers are in a position to make and what policies are actually achievable. Tell us about your slate – what makes it unique? I think the diversity of our slate is its strength. We all come from different parts of student life, from student politics to theatre to sport so I think we represent a lot of students in that between us we’ve experienced the breadth of student life and we can bring that representation to the SU. Let’s talk about some of your policies. How do you propose to promote engagement with university social life? I really think the SU could do more to go to students and ask them what their concerns are rather than expecting students to go to them. Apart from your degree and your involvement with the common, one of the most important things students will do at Oxford is getting involved in student society. I think there’s a lot of space there for the SU to support student societies. For instance the SU could lobby the proctors to make the constitution more flexible so it’s easier for student societies to affiliate with the University. I would also like to establish an informal event where the heads of student societies can meet and exchange ideas and discuss the work their society is doing. For instance, the Afro-Caribbean Society does a lot of really amazing access work which I think should be showcased and that’s something other student societies could learn from. You’ve pledged to campaign for a reading week. How do you plan to persuade the University to agree to this? Sabbatical officers get to sit in on meetings which other students don’t have access to. They have positions in quite influential groups and I think we should take full advantage of that. A reading week is the norm at a lot of other universities. Students at this university are often overworked and stressed. We have a very short, intense term and it would be very beneficial to students to have that broken up by a reading week. If we were elected on this platform it would send a very strong message to the University that this is what students want. I can’t guarantee that it would happen in the year that we are sabbatical officers but it’s a very important conversation to start. Change, I recognise, is slow but you have to start somewhere. You can see in the last few years that the University has started to take access issues more seriously because the SU has started these conversations and has been a powerful lobbying body to bring about change.